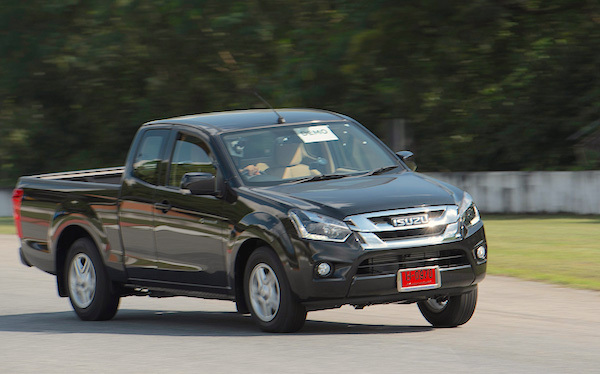 Can the Isuzu D-Max win in 2016 for the first time in 8 years? It’s a disappointing month for new car sales in Thailand: October is down 11% to 60.634 units, bringing the year-to-date cume into negative territory at -1.2% to 617.159 registrations. Toyota (-9%) loses slightly less ground than the market and posts a very strong 34.4% market share, three full percentage points above its YTD level. Isuzu gains 5% in 2nd place but remains at its 2016 level (18.6%), whereas Honda (-16%), Mitsubishi (-36%) and Nissan (-25%) fall heavily. Suzuki (50%), MG (+51%) and Dongfeng (+46%) shine. Model-wise, the Toyota Hilux has a slim advantage over the Isuzu D-Max this month but it’s not enough to fill the gap that separates it from #1, with 2016 looking increasingly likely to be the first annual win for the D-Max in a decade. The Toyota Yaris is up 20% to #3, the Vios down 10% to #4, the Ford Ranger up 24% to #5, the Mitsubishi Triton up 32% to #7 and the Honda Civic up 180% to #9. Among recent launches, the Toyota Sienta is up 8 spots on last month to #24 and the Toyota Innova Crysta is up 25 to #37. Full October 2016 Top 30 All-brands and Top 65 All-models below. Thailand 2012: Top 40 best-selling models now available!